A couple of years ago a magazine in New York used some of my images of the city taken in bicentennial year, 1976, photographed on Kodak slide film on my first visit to the USA. 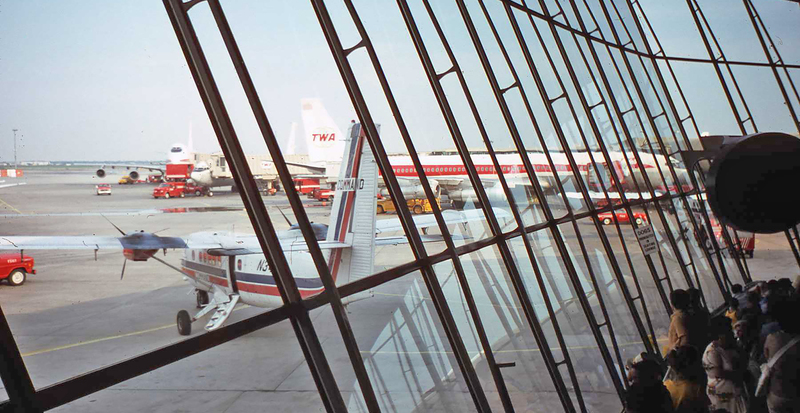 Amongst them was an image of the then revolutionary TWA Flight Centre. 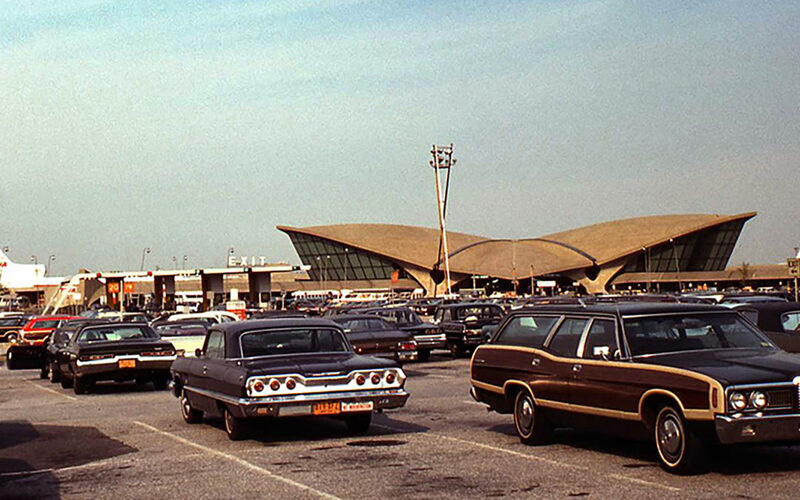 Also known as the Trans World Flight Centre, it is an airport terminal at New York City’s John F. Kennedy International Airport. The terminal, which opened in 1962, was designed for Trans World Airlines by Eero Saarinen and is much admired as an iconic architectural structure, although today too small to cope with passenger volumes. A few days ago, I received an email from an author looking to use the image in a new book on glass curtain wall structures. I referred him to my images of the Bauhaus in Dessau that I had photographed and placed in my Behance on line portfolio, suggesting that these too were worthy of consideration for his book. I started thinking about why these structures mattered to me and what was the fascination and enduring influence of the Bauhaus on my life. It seems odd that an art school from before World War 1 in Germany could have had such a continuing impact on an ageing artist, educator and designer in the late 20th Century and now continuing into the 21st. This year sees hundredth anniversary exhibitions dedicated to the Bauhaus. Of course, what they are really celebrating is its revised scholarly teaching programme along with the industrial design philosophy of Walter Gropius, who became principal, and his team and successors that included Josef and Annie Albers, Kandinsky, Klee, Itten, Schlemmer, Marcel Breuer, Moholy-Nagy and Mies van der Rohe. 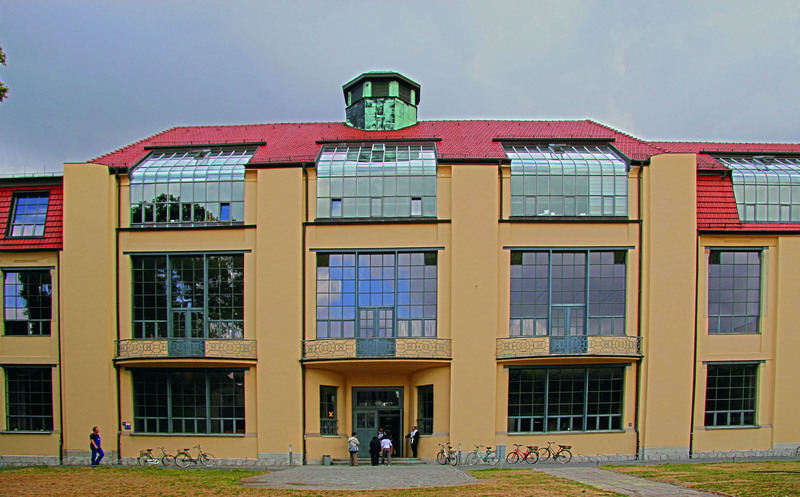 The original Bauhaus building pictured here was built between 1904 and 1911 in Weimar for the then Weimar Saxon Grand Ducal Art School which merged with the Weimar Academy of Fine Art and re-opened to make the Bauhaus in1919. 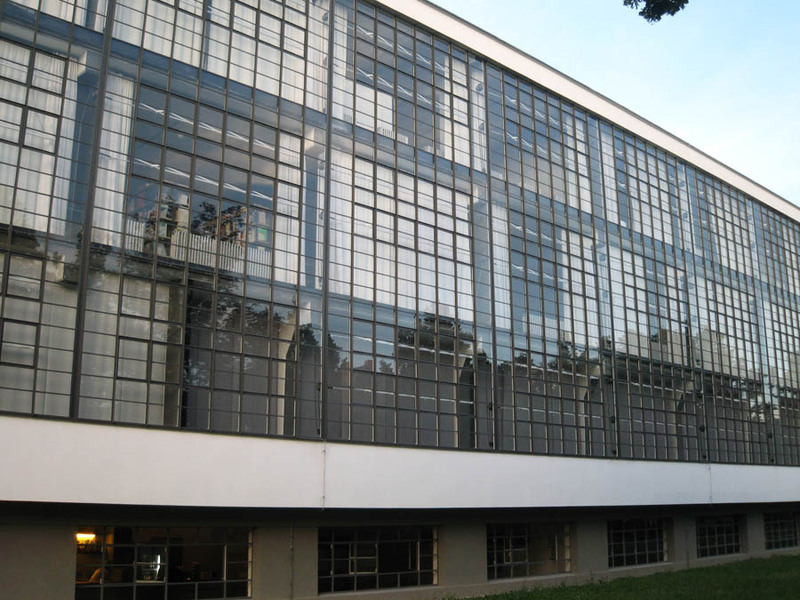 Gropius became its ground-breaking head. Ideas don’t come out of thin air, but as those who try to protect them through copyright actions don’t seem to appreciate, are usually born from what has gone before, reworked or ‘revisioned’ as it would be described in 21st century vernacular or just plain stolen and then evolved. 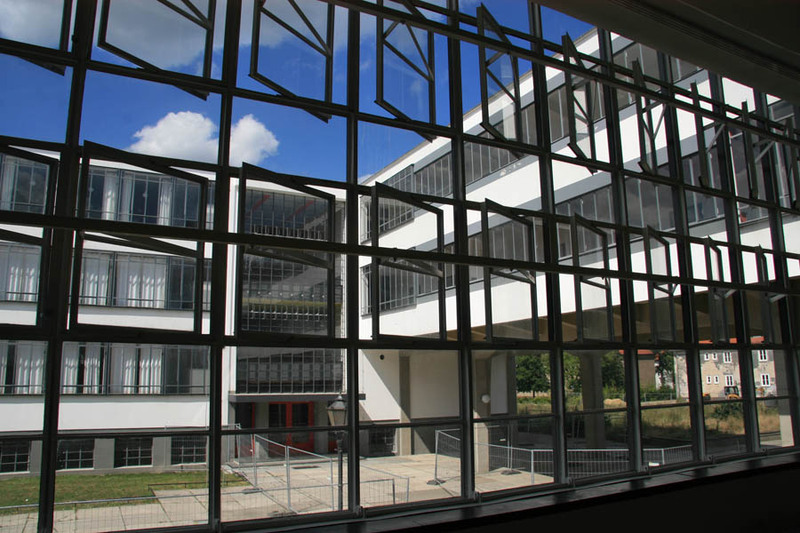 Gropius’s Bauhaus successfully built on a century of thinking about design within the new industries of Europe and, to a much lesser extent, the USA. The years before, and even to some extent during, the first world war were years of the culmination of revolutionary processes that began with the English industrial revolution, indeed some time before that with an agricultural revolution. The growth in the 19th century of a middle class and improved manufacturing to service their aspiration led to a new wave of innovative retailing (the first department store etc.) and consumer goods production. Many of the creative innovations were developed and continue to be carried forward to influence us today. Well know amongst the many design innovators was the Arts and Crafts movement led by William Morris, but revolutionary thought of Freud, Marx and Lenin, along with the growth of compulsory education, all helped build new social movements. In Germany there was a clear move to build a philosophy of design and production as that nations industry began to overtake the complacent industrial strength of British industry. In Victorian Britain there was an appreciation of the importance of design education and art colleges were fostered in every town as the centres of thinking ‘outside the box’ that would challenge the manufacturing enterprises of their geographic area to innovate. That these have been virtually extinguished in a Britain that no longer leads in research and innovation is a testament to the dead hand of the old established Universities and academic snobbery. In music too the early 20th century was a truly rich area of innovation and inventiveness, from works composed for Diaghilev’s dance troop by Stravinsky using non-musical instruments like a pistol or a typewriter through the innovative compositions of Eric Satie. All again were linked to the technical revolution through the invention of methods of recording music for music to be played for the first time without live performers. War gave an impulse to new industries like aviation whilst killing many artists and craftsmen, musicians and poets in its hungry maw. 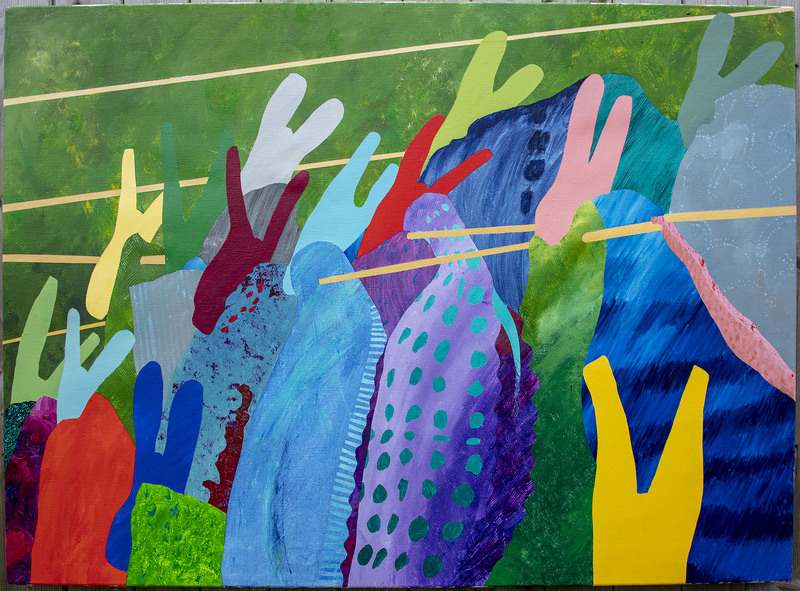 Progress hesitated but was quickly pushed forward again.Much as visual ideas have no boundaries, each successive wave of pedagogues borrowed and refined the thoughts of earlier pioneers. It was under Itten at the Bauhaus that the idea of a ‘preliminary’ or ‘foundation’ course was introduced where students spent a year in all disciplines exploring their own strengths before being allocated to the three-year specialist workshop course that suited them. This is where the influence of the Bauhaus on my teaching comes from, and it is the model extended and pioneered in English colleges by places like Bath Academy in Corsham after WW2 which raised English art education to a world leader in the 1970’s, before becoming the pawn of professors and politicians. The Pre-Dip or Foundation course was not seen by them as a necessary diagnostic for young aspiring artists and designers but as a course without parallel in other disciplines and which required investment over and above that for the diplomas and degrees it serviced, forcing a constant battle of justification in an area that was the foundation of Gropius’ model. With over 45 different design and fine art disciplines to be fed now, it is surely even more necessary today than when introduced by Itten originally in the Bauhaus, especially given how little teaching is now delivered in our Universities. For me as a lost soul in secondary education it was an introduction not only to the arts as a possible career but also an introduction to a civilian world my RAF upbringing had hidden from me. I am not surprised so many leaving the armed forces need help after their service, as an art critic said in a TV series many years ago, it was indeed the ‘Shock of the New’. For many in the early 20th century the Bauhaus and other institutions were introducing them to new beliefs, philosophies and activities unknow to but a few in earlier times. Art college did the same for me in the latter half of the twentieth, for which I will always be grateful. From the moment I learnt about the Bauhaus at Art School in the late 50s they have been a strong influence on my design ideas. I very much look forward to your presentation on the 21st. Very informative and interesting piece Patrick which covers an exciting but turbulent time with profound and revolutionary ideas expressed through art, ultimately spawning multiple contemporary art movements, unthinkable only a few decades before. I hadn’t realised the Bauhaus influence on the Foundation course. In my experience this preparatory year, probably the best year of my life, was far more creative and inspirational, opening my mind to new vistas and possibilities that far exceeded the comparatively dull and lacklustered University degree course.